Heterogeneous catalysis is widely used in chemical, refinery, and pollution-control processes. For this reason, achieving optimal performance of catalysts is a significant issue for chemical engineers and chemists. 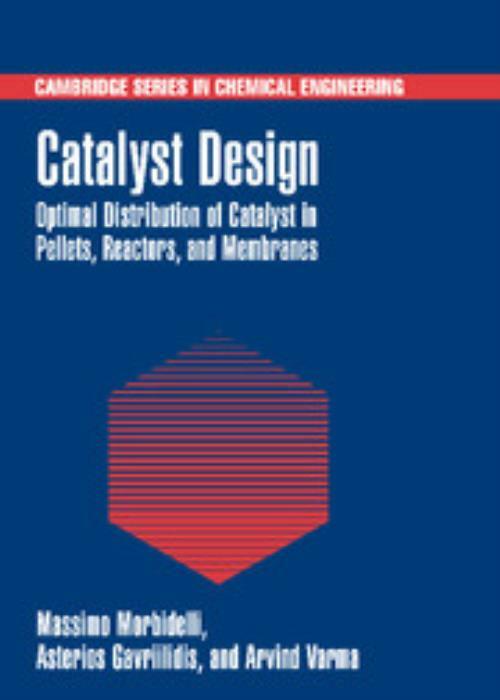 This book addresses the question of how catalytic material should be distributed inside a porous support in order to obtain optimal performance. It treats single and multiple reaction systems, isothermal and nonisothermal conditions, pellets, monoliths, fixed-bed reactors, and membrane reactors. The effects of physicochemical and operating parameters are analyzed to gain insight into the underlying phenomena governing the performance of optimally designed catalysts. Throughout, the authors offer a balanced treatment of theory and experiment. Particular attention is given to problems of commercial importance. With its thorough treatment of the design, preparation, and utilization of supported catalysts, this book will be an ideal resource for graduate students, researchers, and practising engineers and chemists. 7. Preparation of pellets with nonuniform distribution of catalyst; Notation; References; Tables; Captions for figures; Appendices. Asterios Gavriilidis University College London.